Damper products for life safety systems and for airflow control in commercial HVAC systems. Damper products serve a valuable role in air movement. Products cover a wide variety of applications ranging from life safety to maintaining the control of outside air. Products tested and classified in accordance with UL555C. 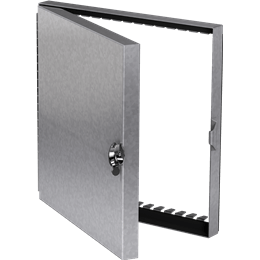 Access doors provide an easy means of reaching damper components inside the ductwork. 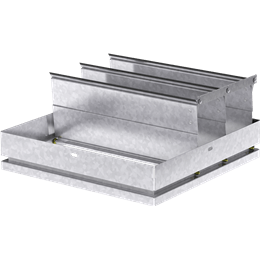 Backdraft dampers allow airflow in one direction and prevent reverse airflow. These function as exhaust or intake dampers. The "ACTUAL" damper diameter. 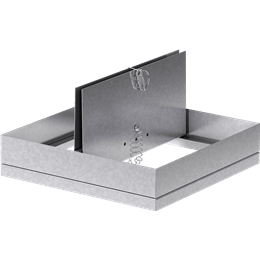 Dampers are undersized to allow them to be mounted into the duct work/wall opening. Refers to the orientation in which a product can be mounted. Thickness of the insulation utilized on access doors. Describes the maximum static pressure that a given damper can withstand and still be fully operational in an HVAC system.